Two artist/photographers collaborated on this work, Iain and Ingrid Baxter who headed up the collective called N.E. 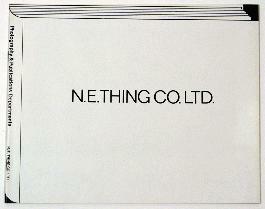 Thing Co. Ltd. 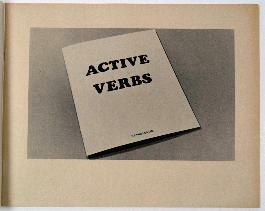 Unlike the other books in this series this work appears to be a catalogue of other books published by N.E. Thing Co. Ltd. At the back of the book rubber stamped above the production information, which is in every book, it states, PLEASE NOTE Correction: Design of this book by N.E. Thing Co.